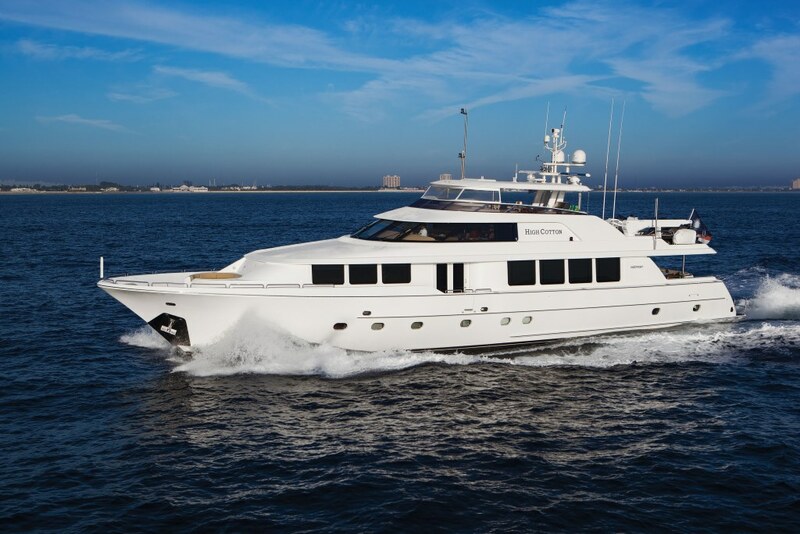 Luxury motor yacht HIGH COTTON was delivered by Westport Yachts in 2008; she is the respected work of naval architect Jack Sarin and measures 34.14m (112ft). 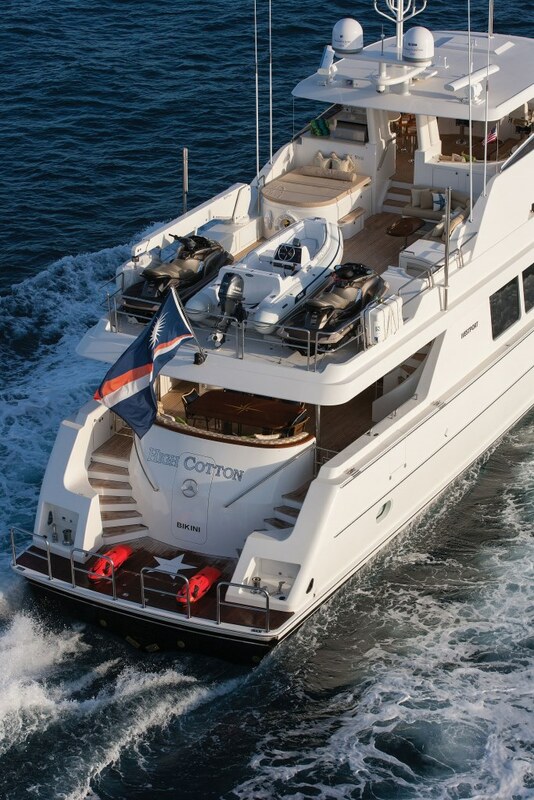 HIGH COTTON received a full interior refit in 2013; she offers accommodation for up to 8 charter guests and is available in Florida, the Bahamas and New England. 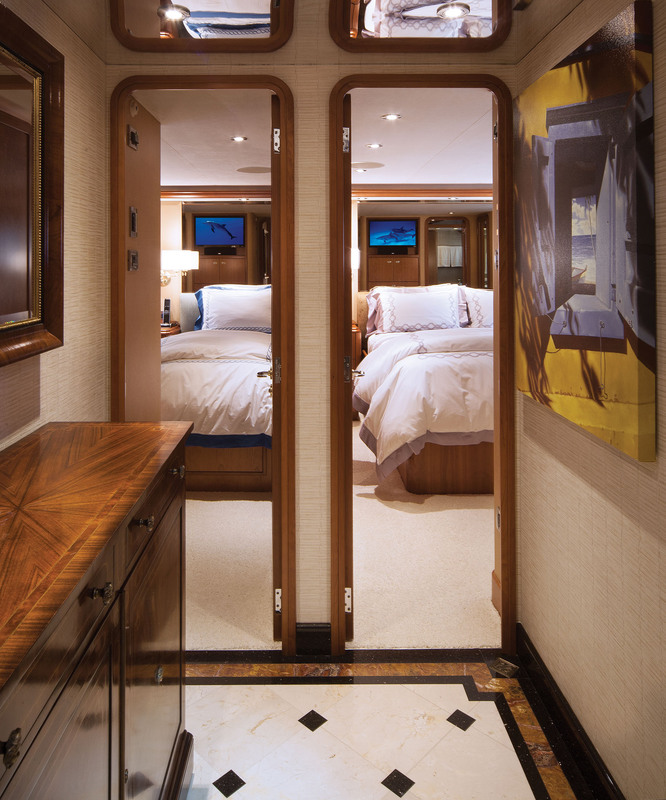 M/Y HIGH COTTON features an elegant interior décor. 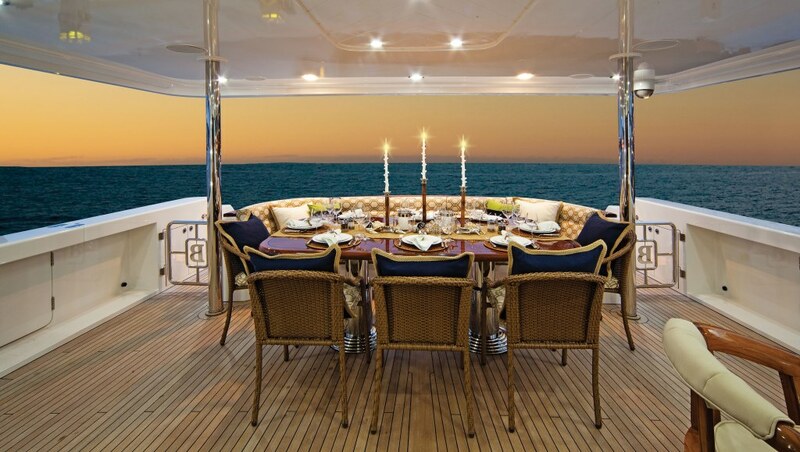 The salon and dining is an open plan surrounded by panoramic windows, offering a generous lounge, games table, full entertainment and formal dining table for 8. 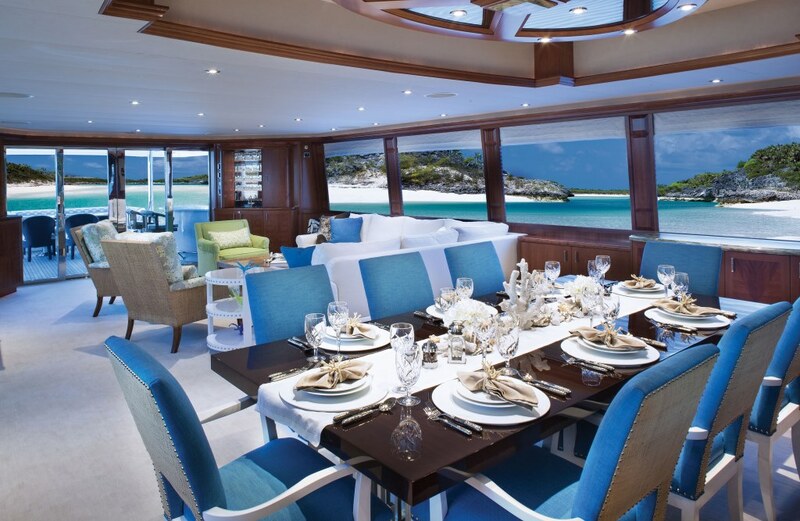 A contemporary colour scheme of soothing neutral creams, combined with cooling sea blues, rich high gloss woods and spectacular views create a welcome classy ambiance. 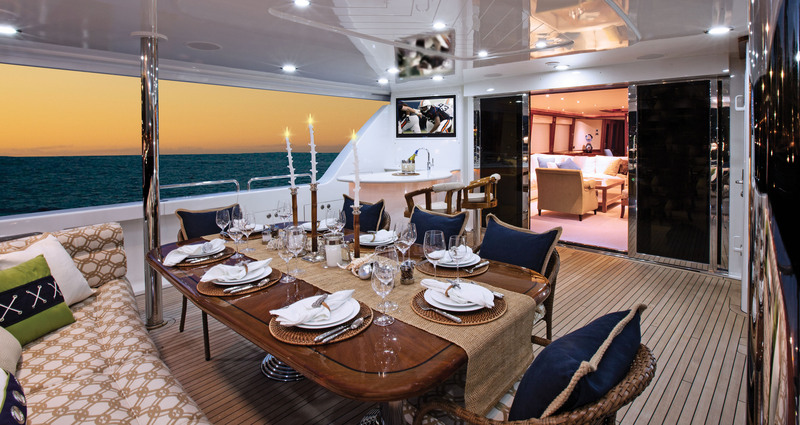 Forward of the salon and dining, is a large country style galley with less formal dining area, perfect for a snack, coffee or simply relaxing. 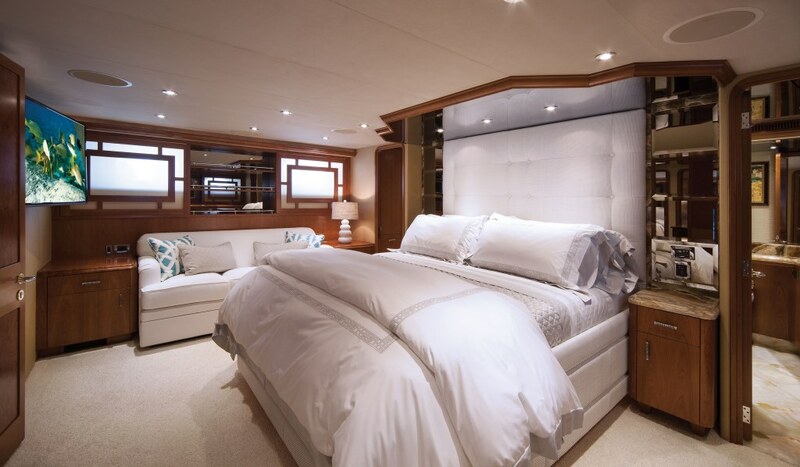 Guest accommodation is below decks, in 4 spacious en-suite cabins. 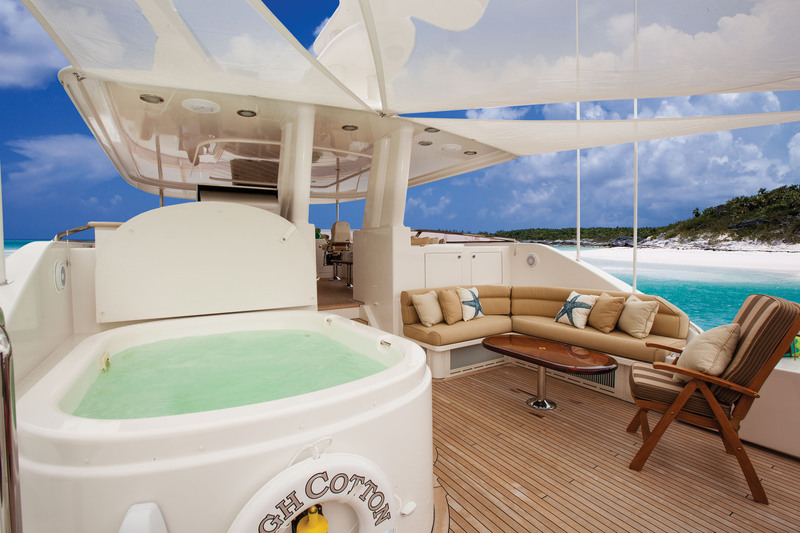 Crewed charter yacht HIGH COTTON is the ideal yacht for enjoying the outdoors, boasting fabulous exterior living areas. 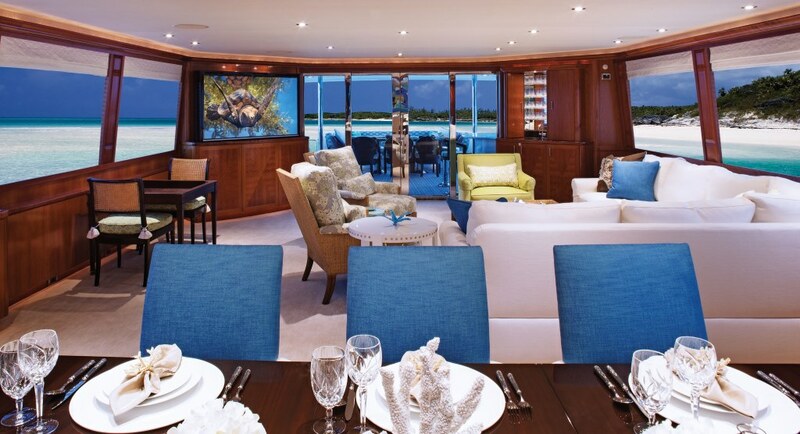 On the main deck, adjacent to the salon is a large shaded aft deck, with seating, alfresco dining option, wet bar and drop down TV, perfect for casual and formal entertaining. 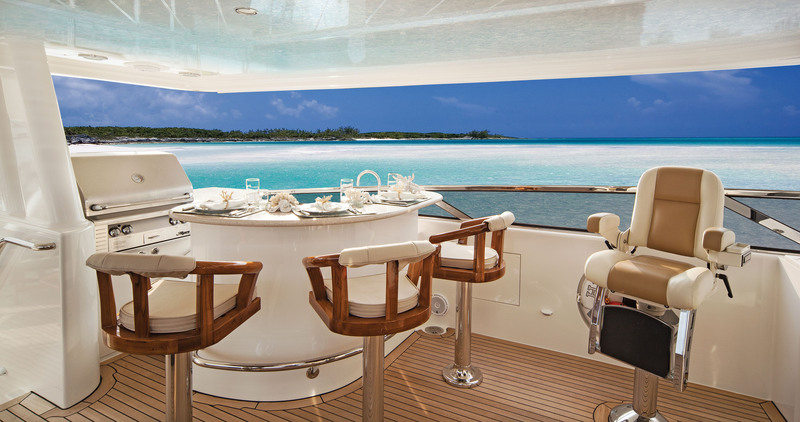 The foredeck features a circular seating space, great for a quiet moment. 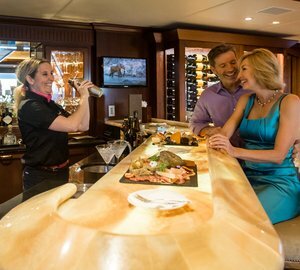 Above, the sundeck features plenty of seating, wet bar with swivel stools, BBQ service station, drop down TV, deluxe Spa Pool tub, sunpads and optional shade. 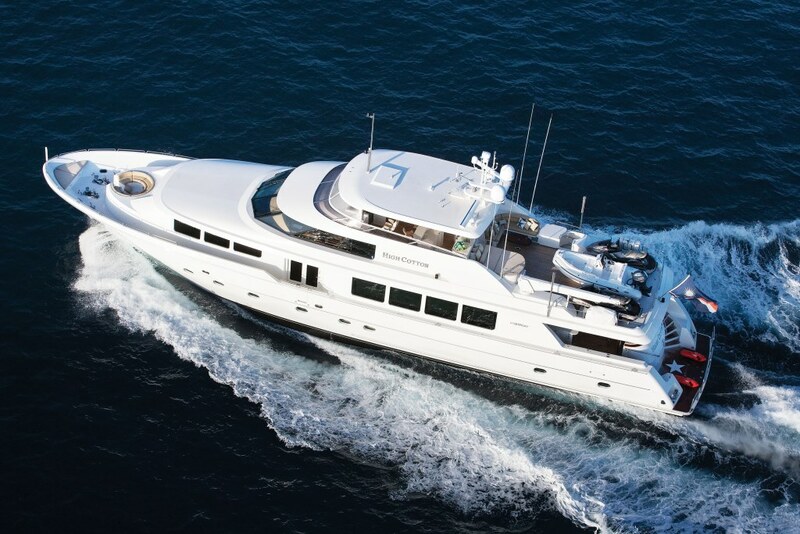 The HIGH COTTON motor yacht is powered by 2 MTU 2000hp engines capable of 17 – 24 knots. 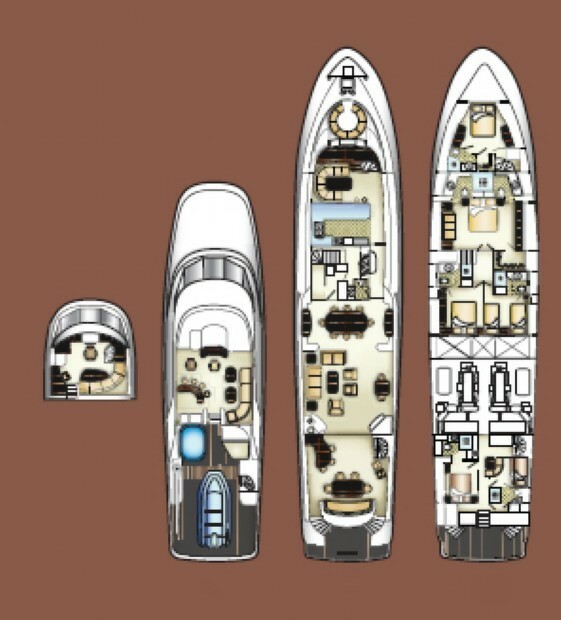 She has a beam of 7.32 (24ft) and a draft of 1.65m (5.5ft). Fitting with stabilizers, HIGH COTTON ensures comfort and stability. 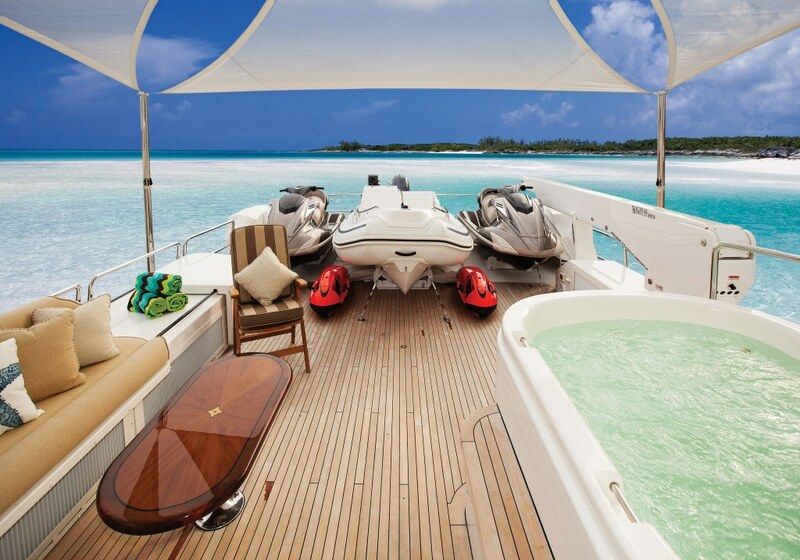 Luxury yacht HIGH COTTON has 4 generous en-suite cabins for up to 8 charter guests. 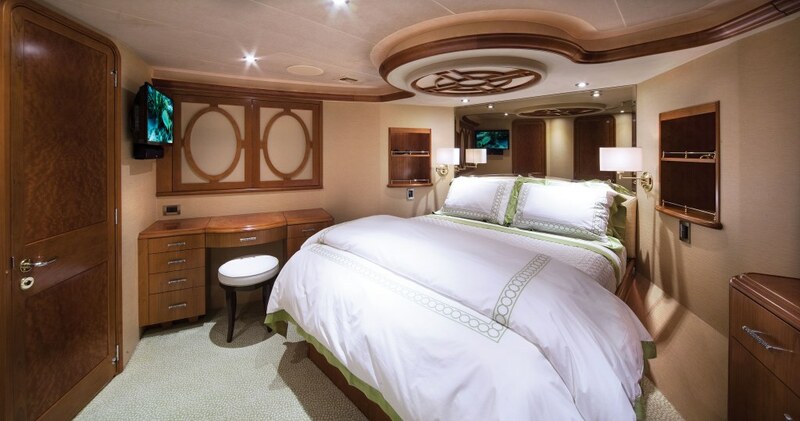 The master stateroom is amidships and full beam of the yacht with a king size center lined bed, sofa, vanity and full beam dual access facilities, with walk through shower. 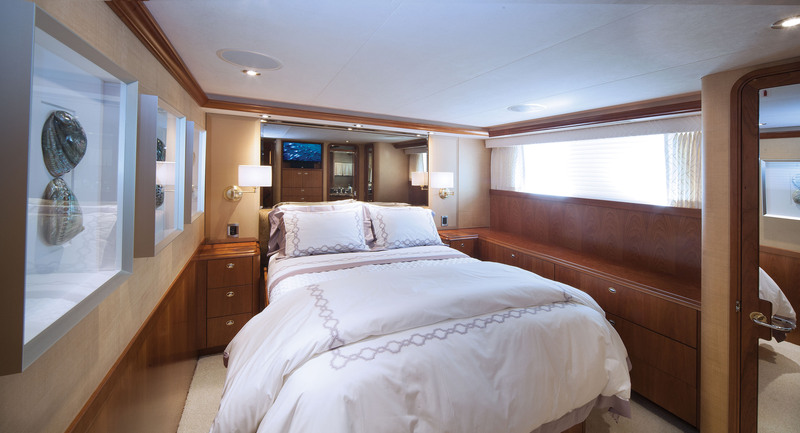 The VIP cabin is forward and full beam of the yacht with a queen size center lined bed. 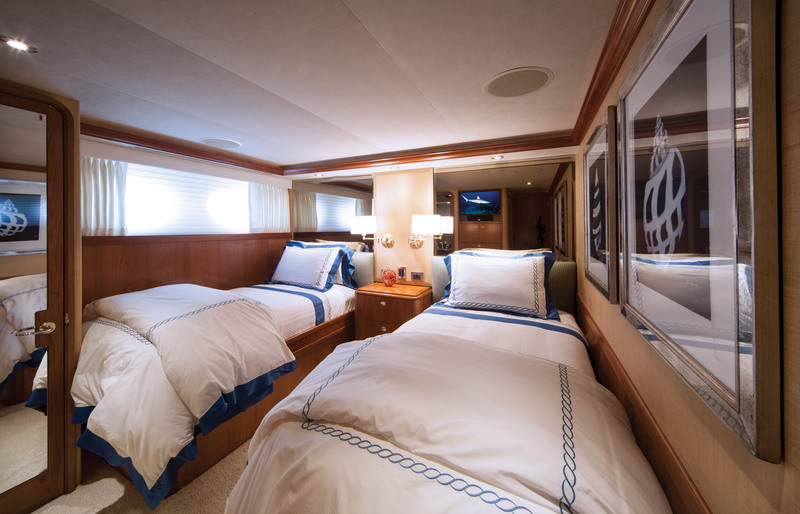 A further 2 guest cabins offer one with a double bed, the other 2 side by side twin beds. 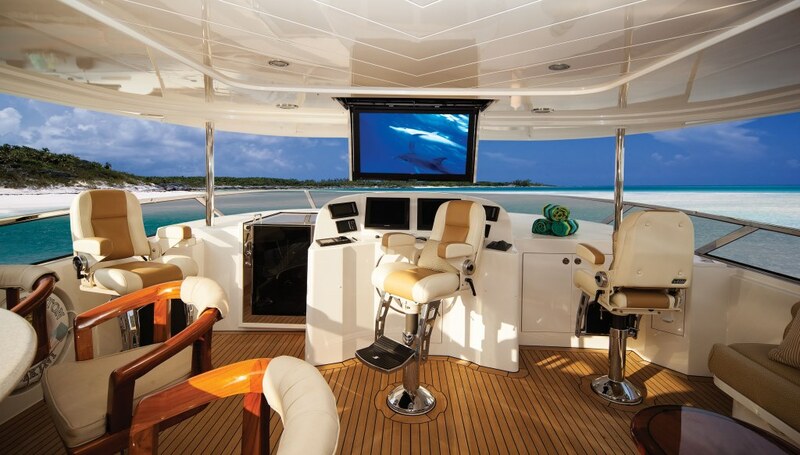 All cabins are equipped with TV entertainment. 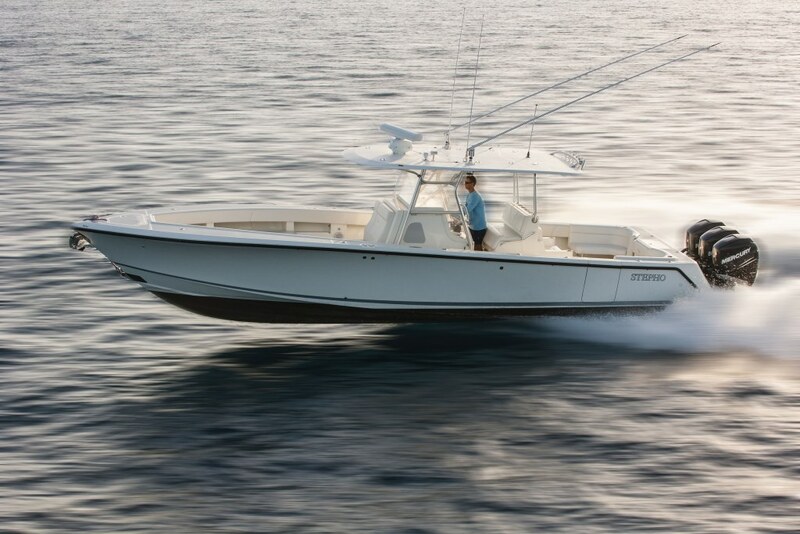 Tenders & Toys onboard the HIGH COTTON yacht include a 39' SEA VEE TRIPLE MERCURY 300'S, 15' AB INFLATABLE 90HP YAMAHA, 2 YAMAHA SUPERCHARGED FX CRUISERS, 2SEA BOBS, 2 INFLATABLE PADDLE BOARDS, ASSORTMENT OF INFLATABLE TOYS, COMPLETE COMPLIMENT OF FISHING TACKLE, Communications include VOIP, VSAT WiFi, Ships computer, Audio Visual Equipment and Deck Facilities include 42" pop down HD Toshiba TV over helm station, HDTV throughout, iPod connections throughout, Kaleidoscope, Bluray players in each cabin, Surround sound interior/exterior.